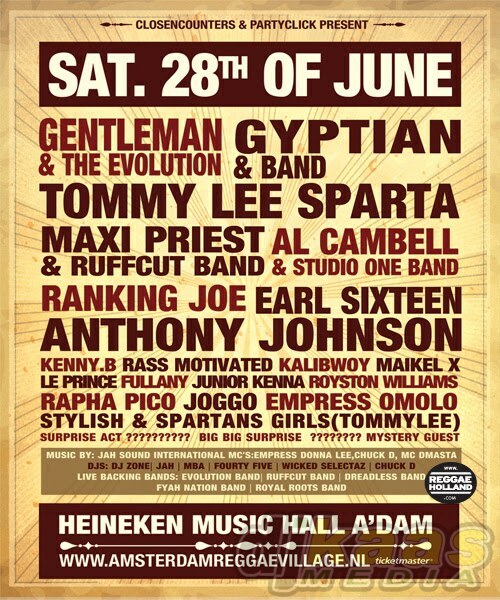 This Saturday, June 28, the first edition of the brand new dancehall and reggae event “Amsterdam Reggae Village” will take place in the Heineken Music Hall in Amsterdam. With its heavy and well balanced line up, this event might proof to become just as successful as its predecessor indoor events like Two 7 Splash, Amsterdam Reggae Festival etc. Tickets are € 45,- and are available here. Check out the full line up below.